It's time for Challenge #294 at Little Red Wagon. Jan is bringing us this week's challenge and she wants to see some stitching on our projects. I love the look of stitching on my cards, so this was an easy one for me. I used dies to create my stitching - lots of stitching!! My Simon Says Stamp stitched dies really came in handy for this one! So lovely! That gold heart is wonderful! So very lovely! The colors, the embossing and the stitching is perfect! Another beautiful card!! You are such an inspiration. 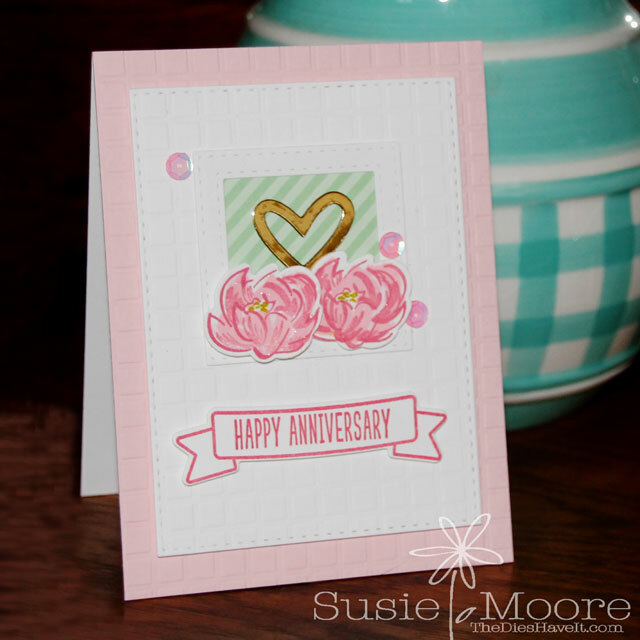 I love the contrast of the pinks in your card...I agree, the word to describe it is lovely!